Do you think of Crystal Light when you think of party drinks? 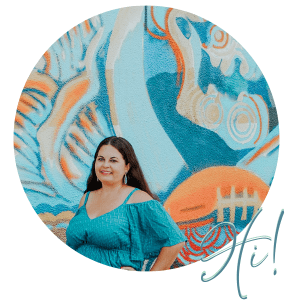 It might be something you have heard of and seen often, or perhaps you are like some of my friends who wonder why I always carry Crystal Light single serve packages in my purse. You just never know when you’ll need a dash of sweet flavor from one of Crystal Light’s wide variety of choices. My favorites? Strawberry and lemonade! I combined these two flavors for one seriously sweet cocktail. Because Crystal Light is low calorie and convenient, I seem to always have a package or two in my bag. I like to mix on the go, and sometimes I end up at a house party or a restaurant that doesn’t have exactly what I’m looking for. With my favorite flavors in hand, I got to mixing a new drink! Keep reading to snag the recipe! I started with a tall glass of ice water. I added 1 package of Crystal Light lemonade and one shot of strawberry rumshine. This variety is made from Wicked Dolphin which is located right here in Cape Coral. I had the pleasure of attending one of the tours, and I picked this up on location. 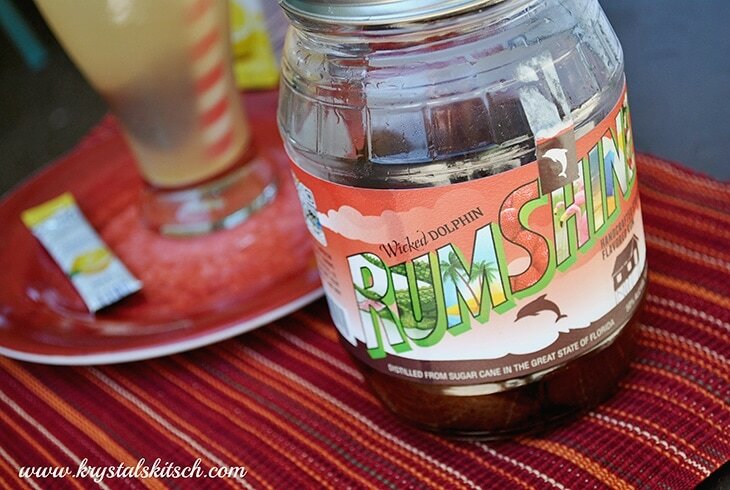 In fact, I’m pretty excited that my jar of rumshine says that it was from “batch 1.” The first batch ever! I’m totally saving this. It’s sold at some liquor stores on the Gulf coast that I know of, but it’s also available online if you aren’t in Florida. You could also try strawberry rum, strawberry vodka, or any other strawberry liquor that you may have. I promise it will still work! 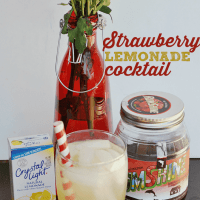 Try using Crystal Light in your cocktails! Add ice and water to a tall glass. 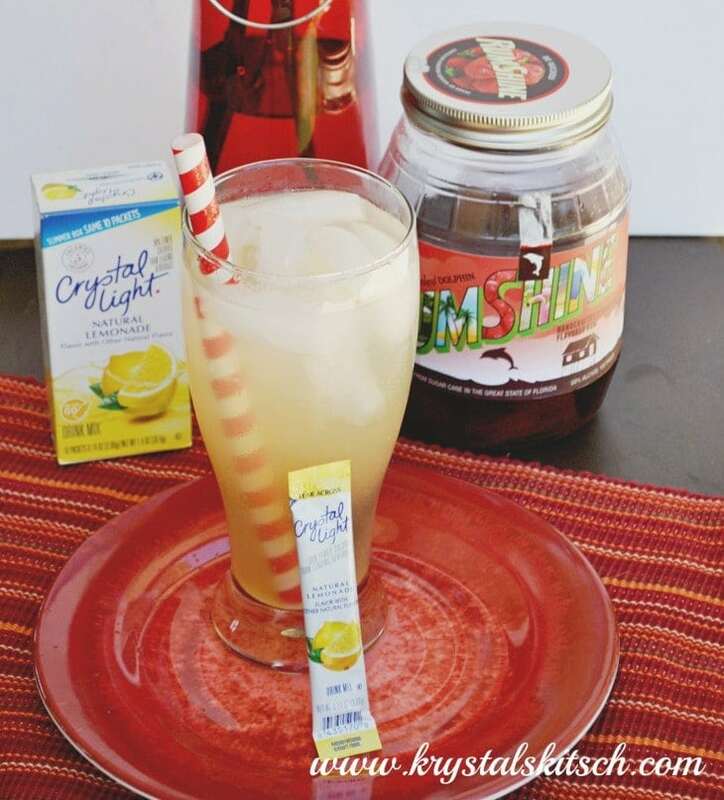 Stir in Crystal Light Lemonade package. Pour in one shot of strawberry liquor. Mix well and garnish with fresh strawberries. It’s a refreshing drink for a warm day or a cool fall weekend afternoon. If you wanted to get really adventurous, you could soak strawberries in your strawberry liquor overnight for an extra kick when you make your recipe. How do you enjoy your Crystal Light? 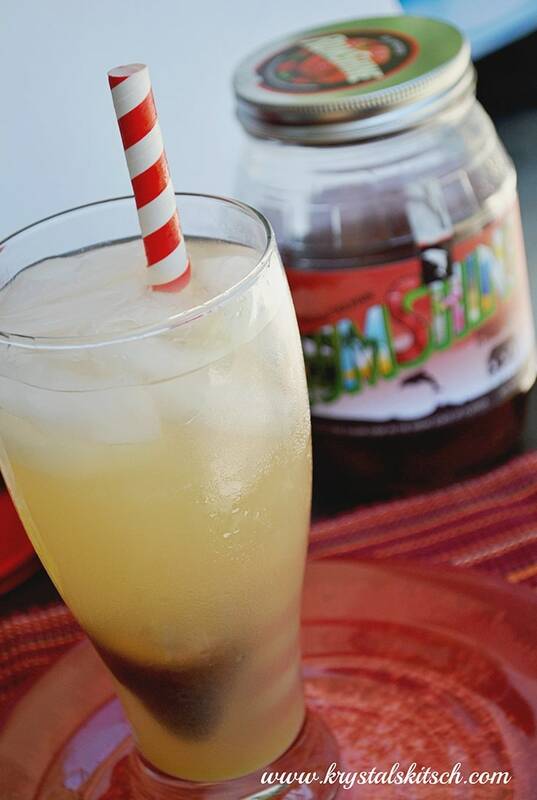 Do you have any favorite Crystal Light drink recipes? 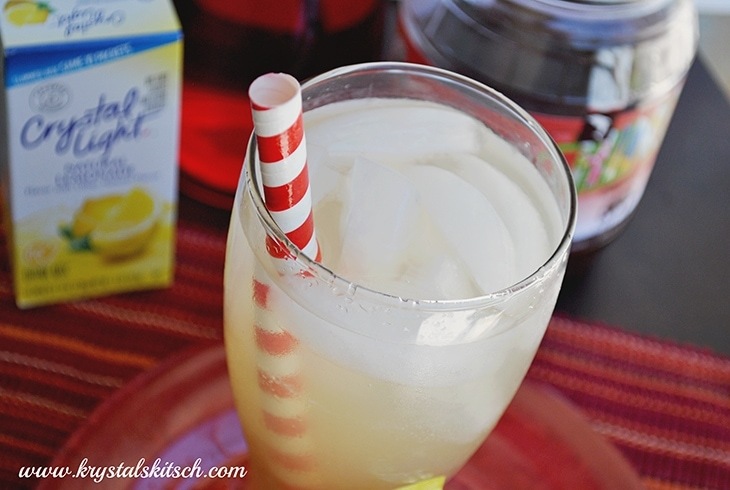 Need Crystal Light drink recipes? 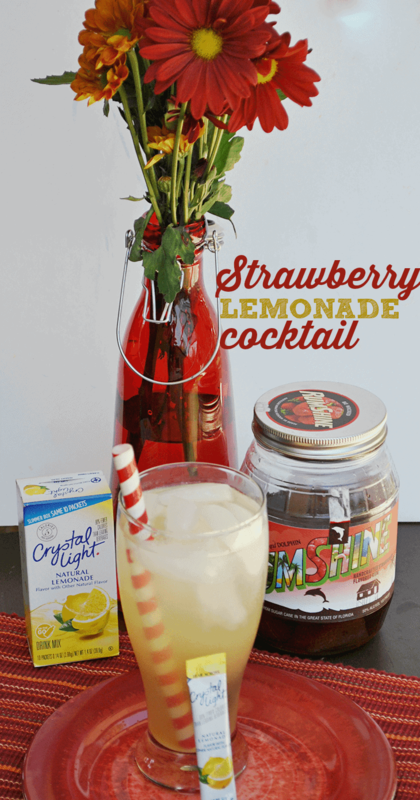 This strawberry lemonade cocktail is fast and fun. 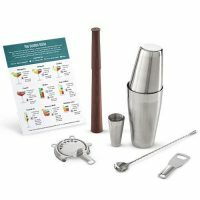 Make a pitcher for your next party! I normally drink my Crystal Lite just mixed with water, but WOW.. Strawberry Rumshine? That sounds like some tasty stuff. This drink sounds so refreshing. 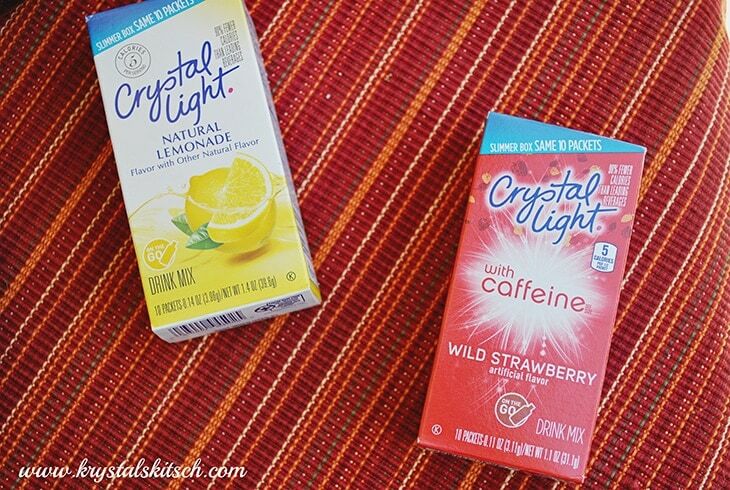 I never thought to do more with Crystal Light – I will have to change up my drinks using Crystal Light. I’ve never thought of using Crystal Light like this. What a great idea! I like CRYSTAL LIGHT lemonade and I’ll be in Florida next month so with any luck I’ll find the Wicked Dolphin Rum Shine so I can give this cocktail a try! my favorite is the Mojito I add fresh mint and lime slices… you can add vodka or rum but it is refreshing just as it is…. Yum! Now this a drink! Sounds good to me! Hehe. 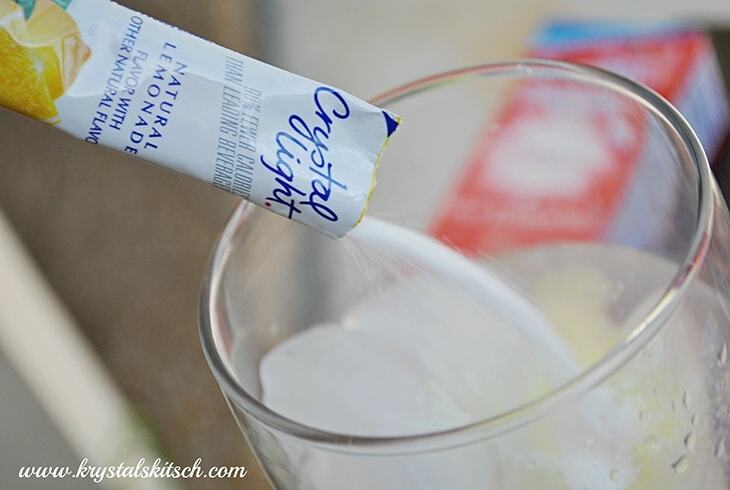 I love Crystal light and all you can do with it! Strawberry Rumshine! I would love to try it. That reminds me of when I was young and we would drink Boone’s Farm Strawberry Wine. I wonder if that stuff is still around ( I know it dates me). I have had Crystal Light mix in water and it was food. The Strawberry Rumshine sounds really good, I would like to try it. 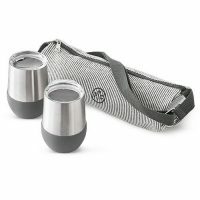 Crystal light with caffeine! That is what I want! I am searching the Internet to buy some now! Thanks for this! This drink looks super refreshing! And so few calories. I’ll have to try it sometime. 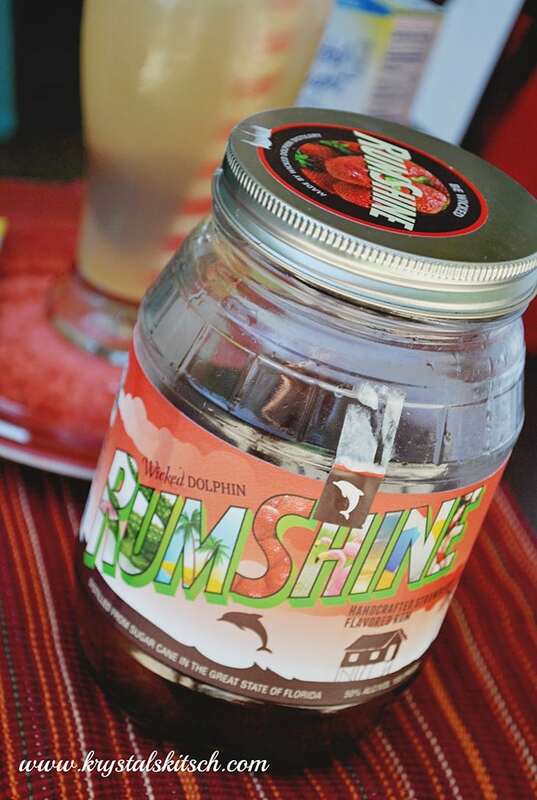 I could totally get into some Rumshine. I will be down in that area next month, and will have to try to pick some up, this looks delicious! My mother in law would love the cocktail. I use Crystal Light (sans cocktail) daily and love it. My husband just picked up a couple of the new Crystal Light with caffeine varieties. I don’t drink caffeine so I haven’t tried them, but I do like the non-caffeinated flavors. I haven’t been down the Crystal Light isle in a while. I had no idea there was a caffeine variety. That’s a great alternative to soda. 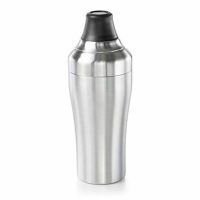 I would have never used this for a cocktail. I bet it would make an awesome single serve margarita too!